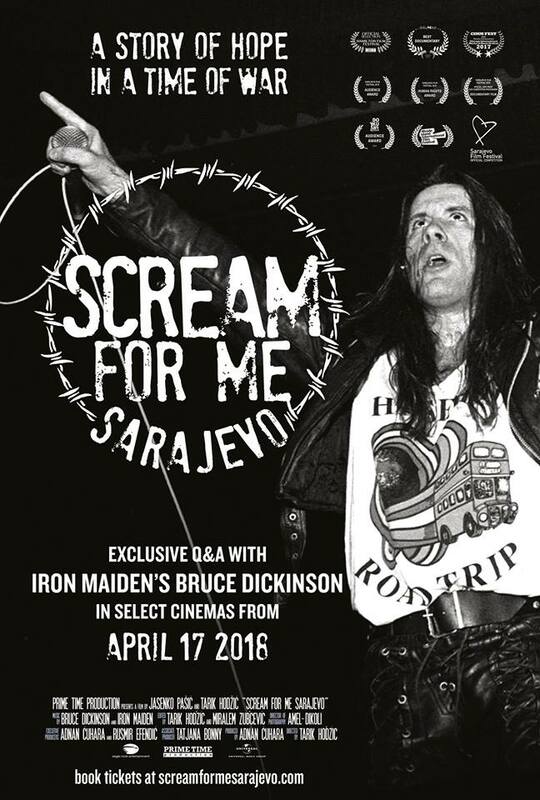 "Scream For Me Sarajevo", a documentary about a 1994 concert in war-torn Bosnia by Iron Maiden singer Bruce Dickinson, will be screened in UK cinemas starting April 17. Billed as “a story of hope in a time of war”, the project tells the tale of a concert by Dickinson and his band Skunkworks at a time when the Bosnian War was raging and Sarajevo itself was under siege. Featuring footage from the historic gig, the film also meets those that made it to the show and made the show happen; determined to keep living their lives despite the atrocities going on around them. Interviews with the band, crew and security bring home the reality of the situation that was not only dangerous, it was barbaric. 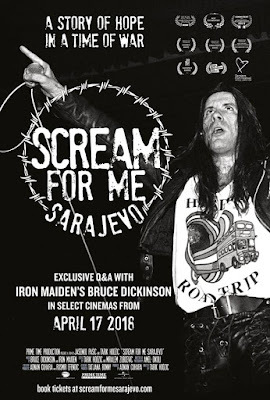 An exclusive Q&A with Dickinson from London will accompany the film in cinemas, while a DVD, Blu-ray, digital video release and soundtrack will be released at a later date. Dickinson and Iron Maiden will return to the road when they launch the Legacy Of The Beast summer 2018 European tour in Tallinn, Estonia on May 26. The 2018 run will see the veteran metal outfit mix headline shows with festival appearances – including Sweden Rock, Italy’s Firenze Rocks, Austria’s Novarock, Belgium’s Graspop Metal Meeting, France’s Hellfest and Hungary’s Volt Festival, among others.